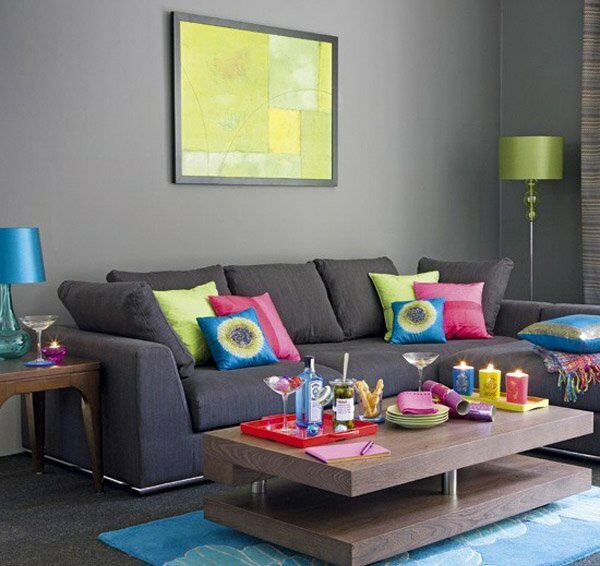 Modern Chic trends for this year is more daring and bold when it comes to combining colors and mixing of materials used. The conventional and common designs are joined together to create a more distinct style that not only ladies love but men admire as well. 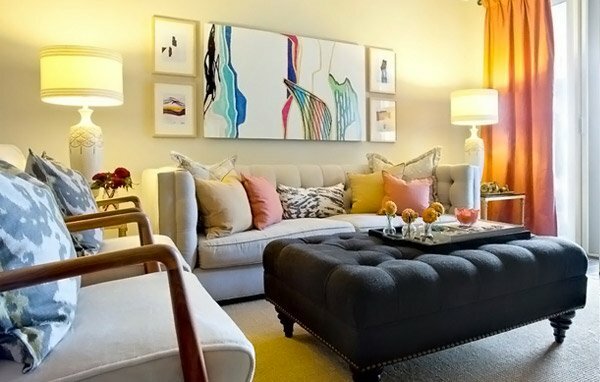 The key to achieving the modern chic feel to your living room is to combine a plain couch with colorful fabrics either for the throw pillows, drapes or even the couch itself – the goal is not to have them match at all. 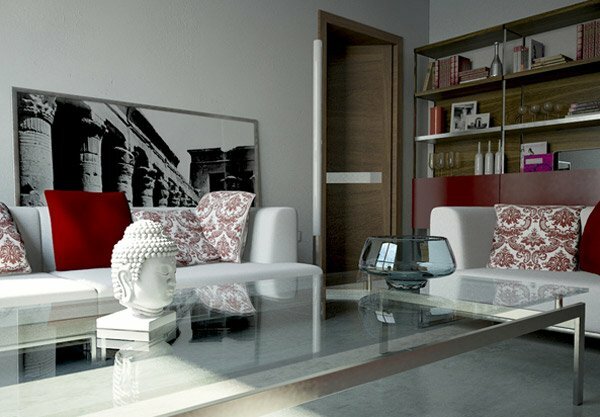 Place unique furnishings like vases, lamps and cool looking paintings or artworks and you are pretty much good to go. Cleanliness with plain walls along with a cluttered feel for the surroundings, the modern chic is like a girl with very less make up but is in a fashionably incredible dress with the best satin and a perfect glass slipper. Totally awe-struck, that is what we are to this lovely girl. The next photos that will unfold before you is what we have just been describing for you. Ordinarily painted rooms with an eccentric collection of items that are mixed together to create an aura of charm and beauty. You might think chic only goes for women – well, generally, the design is somewhat feminine, but just putting the right ingredients, designers are able to create a neutral environment both for men and women. Let us go ahead and take a look at the photos we have below. Can we even call this room Pink Room? The chicness of this living room is beyond – with the room being fully carpeted with great choice for a couch and wonderful statement paintings. 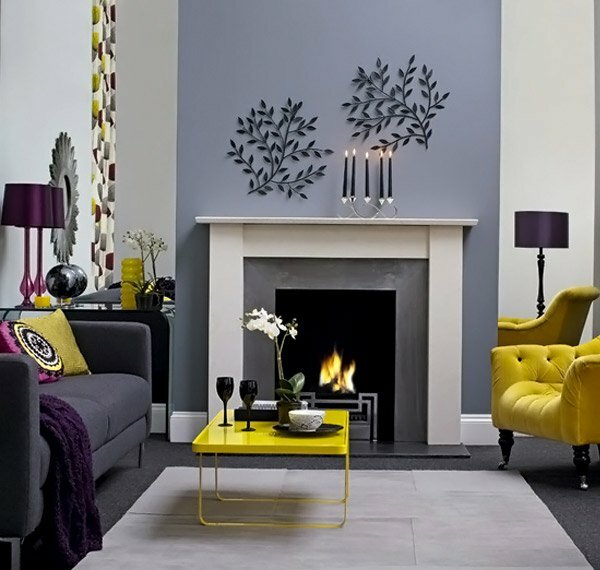 This room totally looks divine with the fireplace it has. 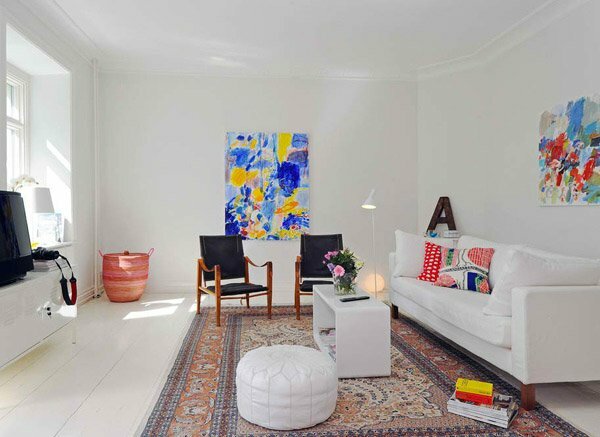 The colorful throw pillows in the couch gives life to this all white room. Chic furnishing on the coffee table, red and printed throw pillows on the white couch plus the huge artwork looks wonderful in this room. 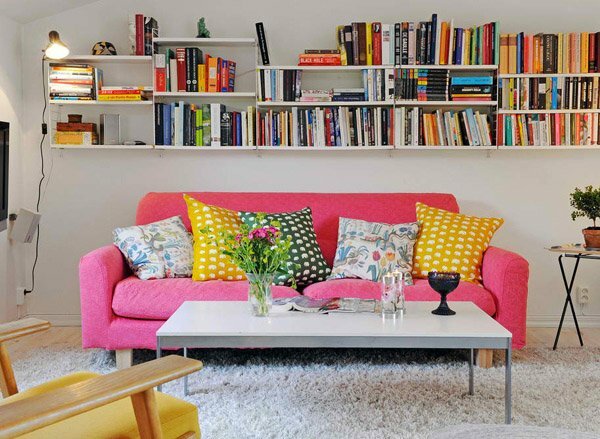 This room may sure looks really barbie-like – the sofa is so pink with printed pillows on them, the owners sure reads a lot since they really displayed the books on the wall. 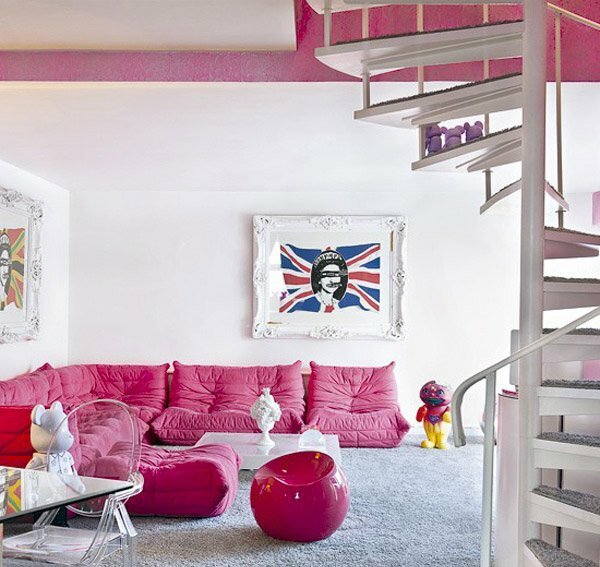 The combination of white, pink and blue sure looks great in this living area. The disco ball with the painting sure gives drama to this one! 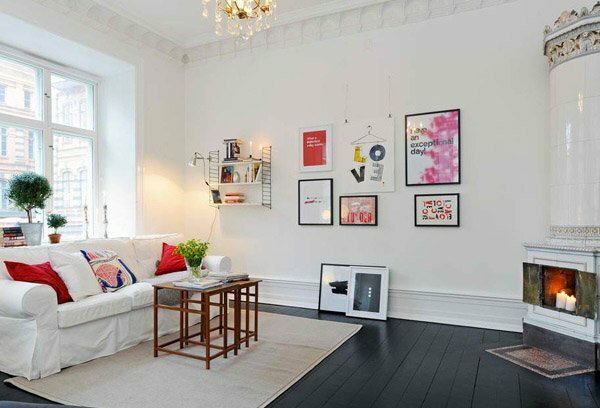 Look at the colorful and inspiring wall artwork, even placing some on the floor makes this room classy and chic. Purple-colored couches, pillows and drapes for this loft design. The cream walls match the carpet that contrasts the general motif of the room. 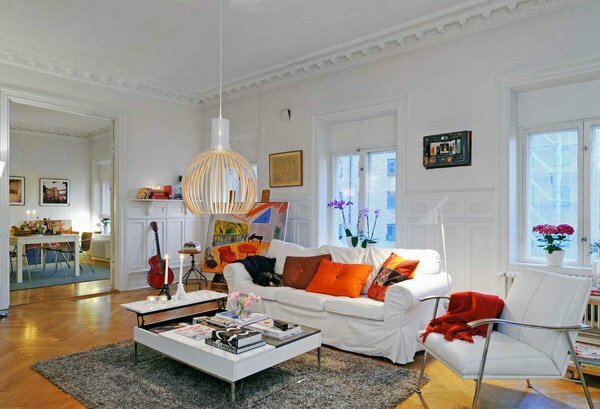 Cute pendant light, great area rug, and a unique coffee table in the middle of the room with orange pillows all around the place. 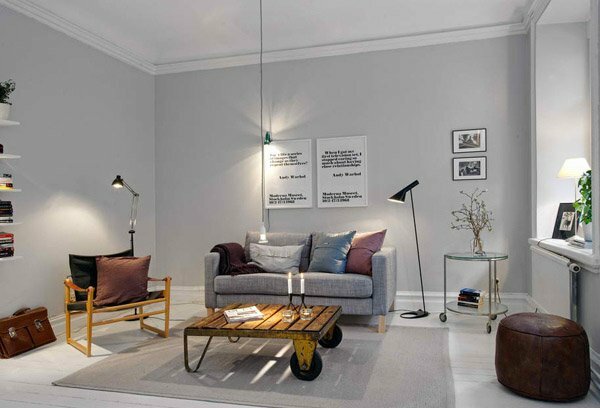 Don’t you just love the gray walls contrasting the white wall decors with the cute color palette chosen? 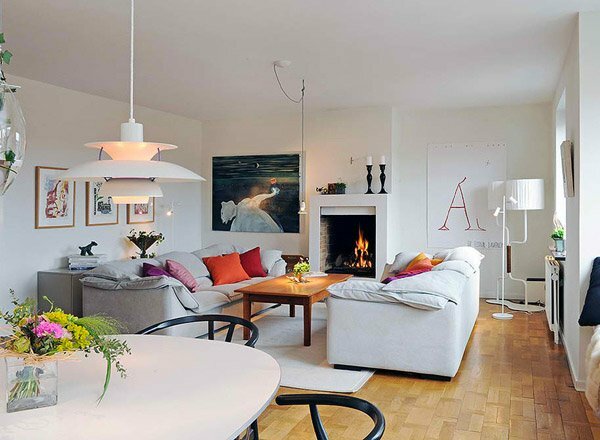 Look at the pendant light looking like a disco light in the middle of the room. 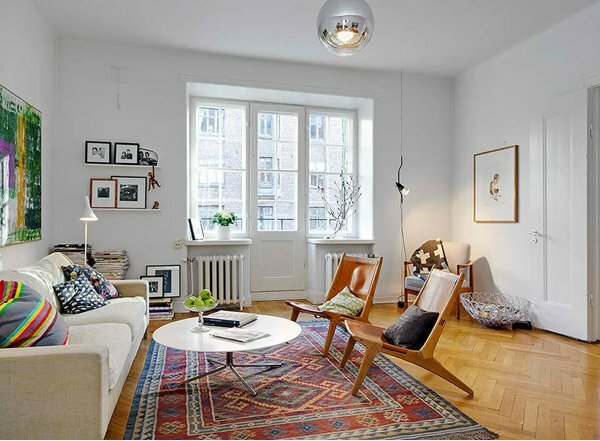 The small frames by the wall and the floor plus the rug makes the room interesting. The collection of multiple things in this room makes it seem without a concept. But in reality, this is the chic we are looking for – frames, sculptures and mismatching colors. 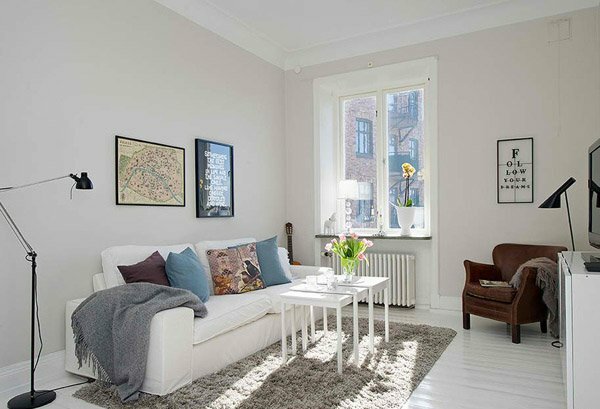 The wooden coffee table is a charmer for this room. 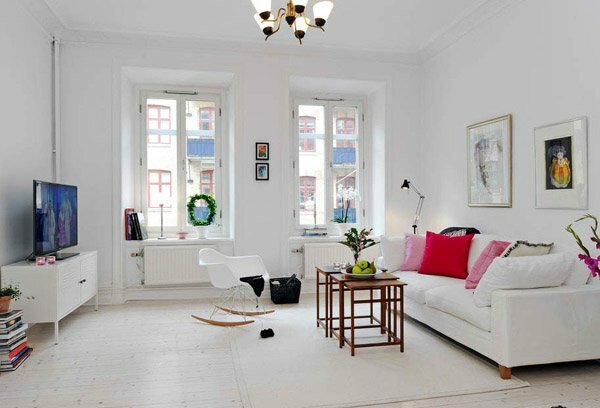 Cute frames scattered around the room plus an accent white chair that does not really mismatch the color of the walls. 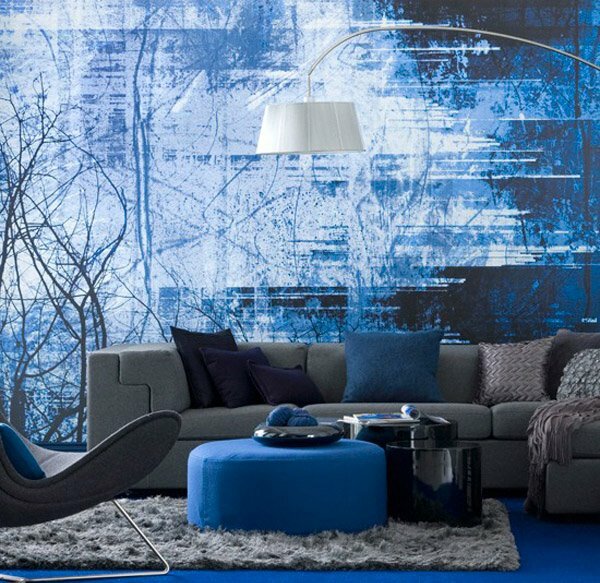 Blues and grays made this room ideal for bachelors. Who ever said modern chic is not meant for men? Just like the photo above this one has the same theme, quotations printed and framed, colorful pillows and a unique arcmchair. The vintage table is amazing which would probably have an old function before it even became a coffee table. Grays walls and couch with uber colorful pillows and furishings. Dunno ’bout you guys, but the lamps sure look great. Look at the inspirational texts on the frames plus the cute printed pillows on the white couch. The brown armchair sure makes a statement in the room. 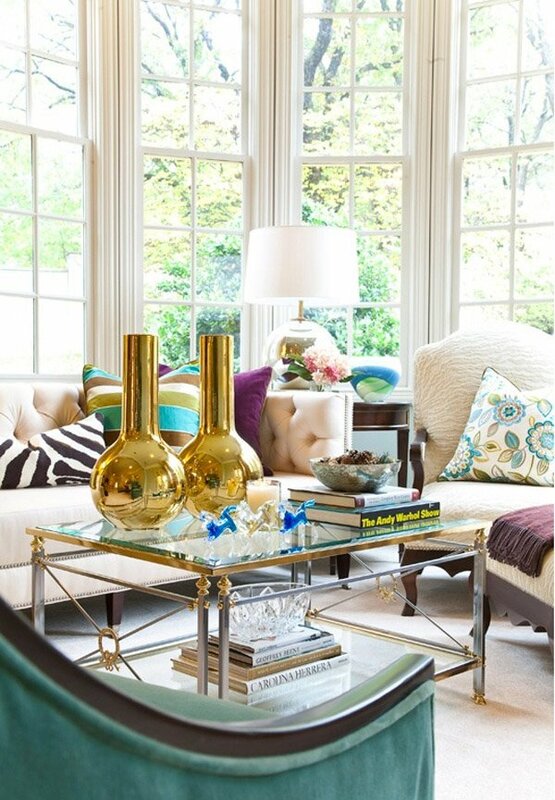 This photo is a close up photo with this beautiful metallic golden vase. 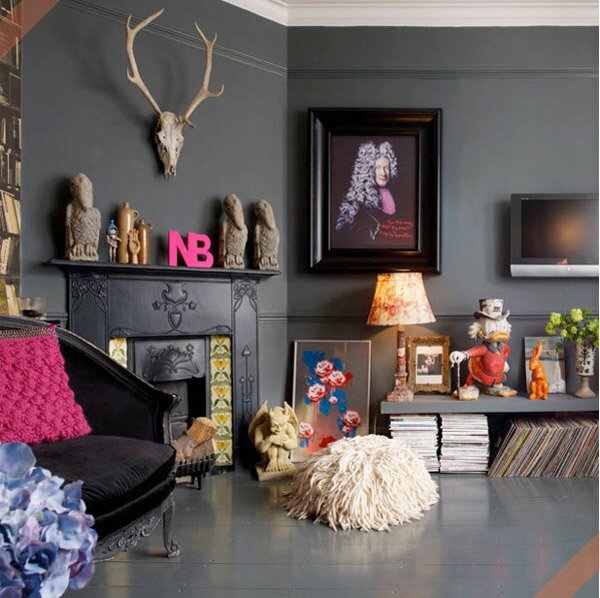 This room with everything almost gray is charmed by the cluttered look it has with all the colorful stuff in the space. Doesn’t gray and yellow look together? This room looks wonderful with this combo and the use of different fabrics on the chairs is a usual for modern chic designs. Colorful fabrics for the pillows, drapes and couches made this room really charming. We are pretty sure that you loved the designs of the living rooms we showed you today. We are impressed with their projects as much as we believe you did too. These modern chic living rooms sure did inspire every bit of our inner designers, ordinary things – mix ’em up and we’re sure you know how it may actually look like. More to come from Home Design Lover. Idea Home 8 is my favorite. Looks stylish and luxury design..